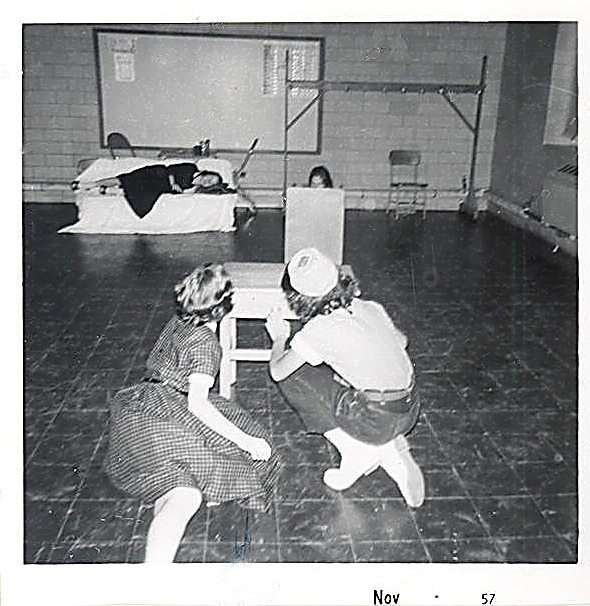 Rehearsing a play at Peyton Randolph School gymnasium, Arlington VA -- 1957. I am to the viewer's right. Patti Parish is to my left and the viewer's left. I don't remember the names of the other two actors. We were in Mrs. McCormick's class - 5th grade. The play was either about a family (sick kid on couch?) or a murder mystery.